There is one part of the RV that is often overlooked but is one of the most critical parts of the vehicle or trailer as a whole: the tires. Proper RV tire care and maintenance is a must if you want a smooth, safe and cost-efficient journey. Let’s first look at some of the consequences of poor tire care then give you some practices to make sure you always have happy, humming tires. Poor tire care and maintenance can result in a myriad of problems on the road. Tires that are not maintained at ideal pressure can make your vehicle work harder to haul, leading to poor fuel efficiency and more trips to the pump. This difference can be low but when you’re on a cross-country journey even underinflated tires could make a difference of hundreds of dollars at the pump. Poorly maintained tires are also a safety hazard. Under or over-inflated tires, unbalanced tires or balding tires can lead to blowouts, flat tires, loss of control and other situations that can make your RV a liability to you and others on the road. Luckily there are several straightforward ways to keep your tires in perfect health. One of the keys to great tires is to always keep them at optimal inflation. You can check your trailer or RV’s user manual or look for a sticker on the RV that details the optimal pressure for the tires on your ride. You can use a tire air pressure gauge or have your pressure checked at a local service center to make sure you stay at a good pressure. RVers should always carry a tire pressure gauge on their trips, and no excuses about unnecessary expenses for this as gauges usually cost less than two dollars. You should check your tire pressure at least twice a month if you are using the RV often. There are also other circumstances where checking the pressure can be beneficial such as after altitude changes, extreme temperature changes and after unloading or loading the RV. It’s difficult to see results but maintaining proper pressure could save you hundreds of dollars a year. Balding tires are a surefire way to lose grip on the road. Luckily you can use the classic penny trick to test the treads on your tires. Find a penny, turn it to where Lincoln’s head is upside down and facing towards you and stick it in a tread. If you can still see the top of Lincoln’s head, your tires likely need immediate replacement. 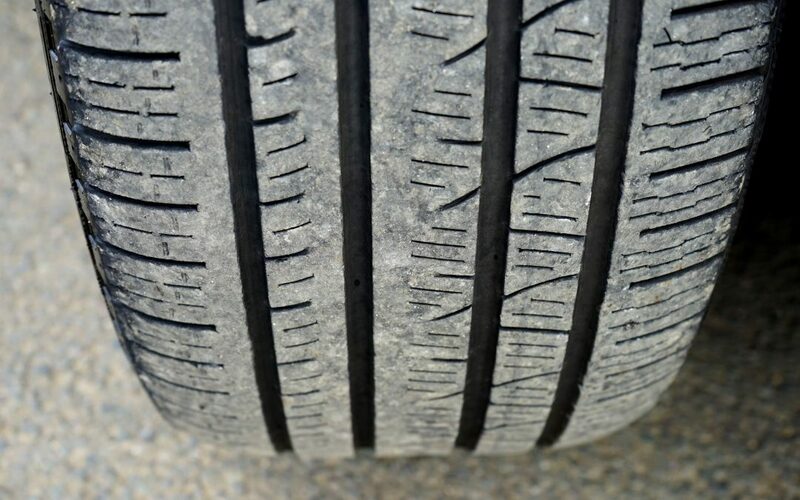 Many modern tires also have tread wear indicators to help let you know when a tire’s days are numbered. Unless you are always driving in a continuous straight line with a balanced car, your tires will wear out at different rates. This is where balancing and alignment come into play. Have your tires balanced and aligned every 6,000 miles or so (or whatever your user’s manual suggests) to make sure your ride goes as possible. Not only does balance and alignment make for an easy drive, but it also prolongs the life of the tires to save you money. So, if you find your RV pulling to one side or experiencing vibrations and shakes, it is likely time you got things balanced out. There always other tips, tricks, and techniques to keep your tires in tip top shape but these three items are the most crucial when it comes to proper tire health. Practice these rules to stay safe on the road and save yourself a bit of money. An RV with healthy tires is a happy RV.